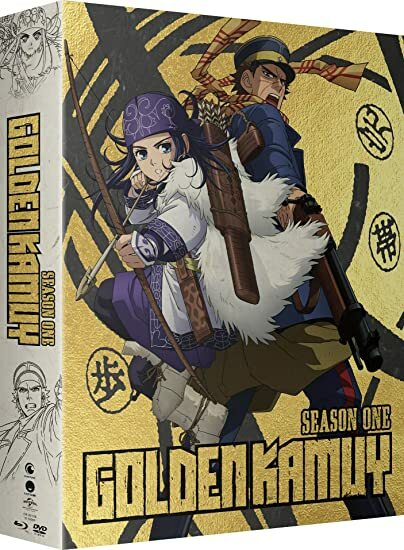 Golden Kamuy: Season One - BUY THIS BLU-RAY! When war veteran Sugimoto stumbles across part of a treasure map, things get deadly. The map is divided among several escaped convicts, and this battle-hardened soldier isn't the only one who knows it. THEN SEND IN A COMMENT ABOUT YOUR FAVORITE FUNIMATION TITLE (you may click on artwork above for a refresher) PLUS YOUR NAME AND ADDRESS TO contests@efilmcritic.com or WeLoveHBS@aol.com. (Just one e-mail please.) Put [b]"WHO NEEDS EGOT WHEN YOU HAVE A GOLDEN KAMUY?" in the subject line and cross your fingers. We will draw names and one of the prizes could be yours. Only 1 entry per household.